A smooth, silky complement to fresh seafood, this unusual combination brings a light tang, perfect for a summers afternoon. 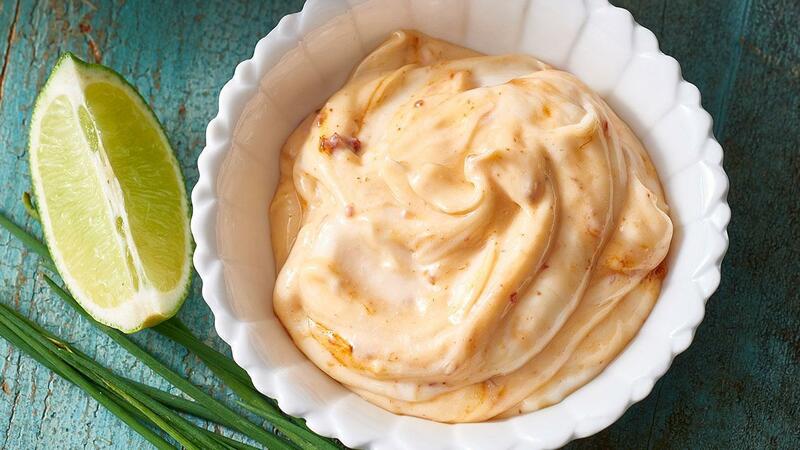 Combine HELLMANN'S Real Mayonnaise, KNORR Coconut Milk Powder, KNORR Lime Powder and KNORR Thai Sweet Chilli Jam. Serve. Prawns are a favourite at Christmas time but can get expensive. Buy your prawns frozen a few weeks before and defrost in the cool room overnight.